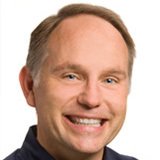 San Francisco, CA – May 14, 2013 – Jason McDonald, a top Social Media corporate trainer in the San Francisco Bay Area, is proud to announce his latest Social Media Class taught in person at Stanford University in Palo Alto, California: Marketing without Money. This hands-on course in search engine optimization and social media marketing begins June 25, 2013, at Stanford University Continuing Studies and teaches the marketing manager or small business owner the secrets of marketing without money — "creating buzz without bucks." The summer, 2013, version of this course brings the secrets of social media marketing to a lively Silicon Valley community at Stanford University. "Stanford Continuing Studies has been a leader in providing social media training," explained Dr. McDonald. "So I was honored to have my summer, 2013, featured in both the print and online editions of the course catalog." No matter how crucial it may be for the success of your product, marketing seldom receives the full funding that marketing managers think is necessary. This hands-on course will teach one the secrets of marketing without money—think of it as “creating buzz without bucks.” For entrepreneurs or marketing managers, there are strategies to build awareness, programs to generate trial, and activities to involve early users in the building of your business—all with little or no cost. Marketing on Facebook, Twitter, YouTube, Yelp, and other sites can combine the power of free on the Internet with the viral dynamics of Web 2.0 promotion. Email marketing and traditional SEO (search engine optimization) can also be part of the mix. Therefore a complete understanding of variations on the newer “free” business and marketing models is critical. Using case studies of successful companies, we will investigate their use of free marketing opportunities and their best practices so one can develop action plans for your own situation. LinkedIn has recently really upgraded their business interface. Gone are the days of just LinkedIn for job seekers. Today, LinkedIn is trying to be the, well, ‘Facebook’ for businesses. Structurally, businesses can now have pages on LinkedIn and those pages can ‘post,’ while users ‘follow’ the company. Similar to a Facebook relationship, your business can now ‘talk’ to customers and potential customers via the news feed. But don’t forget some of the unique aspects of LinkedIn, such as individual profiles and the ability to ‘reach out’ to followers via Inmail, 1st, and 2nd degree connections. Three new books help you through the LinkedIn marketing maze. This is the best book on LinkedIn of the bunch. Viveka Rosen is clearly a ‘guru’ of LinkedIn, and she really loves LinkedIn – that comes through loud and clear. She also has good pointers to buried resources you might not find otherwise. It has a lot of great technical information, but like Scott, she gets lost in the technical details without giving you a big picture or structural map. None of the books situates LinkedIn in the context of all social media marketing, and while LinkedIn is great for some companies, it is not that relevant for others. All of the books would be helped if that had an initial section on ‘social media marketing’ in general, and helped businesses and individuals to figure out if LinkedIn matches their marketing objectives before they dive in! In terms of Viveka von Rosen, in particular, she is so incredibly important and famous on LinkedIn that I felt that at times she lost focus on the ‘little people’ who won’t have her clout or importance. So the good news is she is a LinkedIn guru, and that’s the bad news as well (isn’t that so often the case?). You can get her book by clicking this link. Among the three books, this book is perhaps the most technically oriented. It has many good tips, such as using your profile headline as an ‘ad headline’ for yourself vs. using it as your last job title, and it has some good screenshots. Like all of the book authors, however, Gina Scott pretty much leaves you to your own devices to figure out why you are on LinkedIn in terms of marketing. So this book is very strong about tactics, and weak about strategy. Like all printed books, a book can get out-of-date quickly and this book was published in 2011. It’s still useful, however! That you know LinkedIn is definitely for you (vs. say Facebook or Google+). That you know why you are on LinkedIn and have a strategic plan. LinkedIn Learning Site – LinkedIn Help – very good, although both for users and for companies. 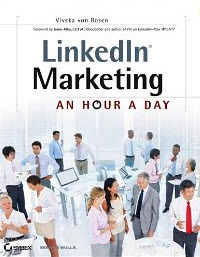 LinkedIn Marketing Solutions – propaganda by LinkedIn about advertising and marketing on LinkedIn. LinkedIn YouTube Channel – also, focused more on the advertising and paid features on LinkedIn. LinkedIn Blog – a very good, official LinkedIn blog, but focuses more on the esoteric information. Finally, don’t miss the LinkedIn Help Center, as it is really one of the very best help centers by any social media about itself. It won’t help you with strategy but it will help you with tactics.